A gang, who claimed six million smuggled cigarettes worth an estimated £1.3m in lost duty and taxes were frozen croissants, have been jailed for more than 12 years. Colin Yeoman, from Peterborough, David Hall and Bernard Levy were arrested by HM Revenue and Customs (HMRC) officers in July 2014, unloading the Jin Ling cigarettes at an industrial unit in Waltham Abbey, Essex. Yeoman was sat in the driving seat of his lorry, about to leave the yard, when officers swooped. Hall quickly tried to dispose of a mobile phone by throwing it over a fence but it was seized. Analysis of the phone linked a fourth man, Colin’s younger brother Brian Yeoman, also from Peterborough, to the scam as they had been in constant contact as the lorry was driven over from Belgium. 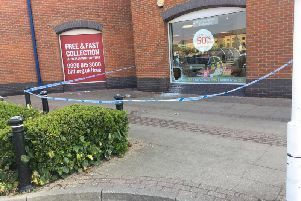 Colin Yeoman said he believed that he was carrying frozen croissants to be delivered to Nuneaton but an issue with the loading of the lorry saw him diverted to the industrial unit via Maidstone Services. “This gang were involved in a major illicit cigarette smuggling operation. They wrongly assumed they and their illegal goods were well hidden and they could get away with it but they were wrong and are now paying the price. “This is criminal activity on a large scale that harms the livelihoods of honest shopkeepers and costs the UK economy more than £2.4 billion a year – money that should be funding public services. Confiscation proceedings are underway to recoup the proceeds of the gang’s crime. Colin Yeoman, (54), of Ayres Drive, Peterborough, was found guilty of the fraudulent evasion of excise duty after a trial at Chelmsford Crown Court on March 14. He was sentenced to four years in prison on April 7. Brian Yeoman,(51), of Hanbury, Orton Goldhay, Peterborough, was found guilty of the fraudulent evasion of excise duty He was sentenced to four years in prison. David Hall, (51), of Selborne Road, Southgate, London, N14, admitted the fraudulent evasion of excise duty at Chelmsford Crown Court on February 17 2016. He was sentenced to two years and four months in prison. Bernard Levy, (64), of Willow Dene, Bushey, Hertfordshire, was found guilty of the fraudulent evasion of excise duty. He was sentenced to two years in prison.